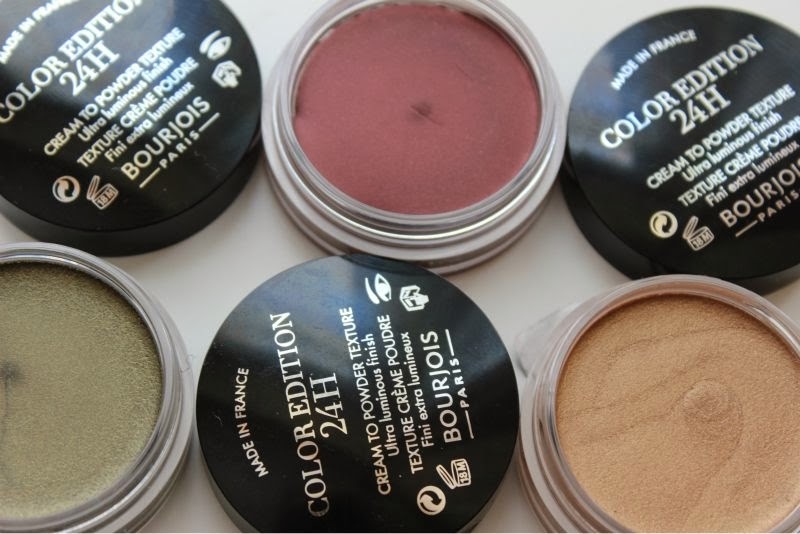 I know for a fact that as soon as the Bourjois Color Edition 24H Cream Eyeshadows hit the counters in a matter of weeks (October just no exact date as of yet) that they will sell out fairly quickly. Luckily they are not limited edition but for a while I imagine certain colours will be tricky to get hold of...by certain I mean all as each one of the six shades are prettier than the next. 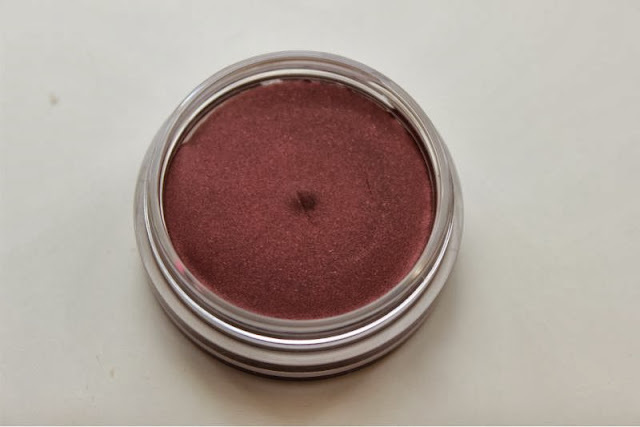 I was lucky enough to be sent three to test out and I will level and say that I have only worn test one shade yesterday but that was enough for me to declare my love. 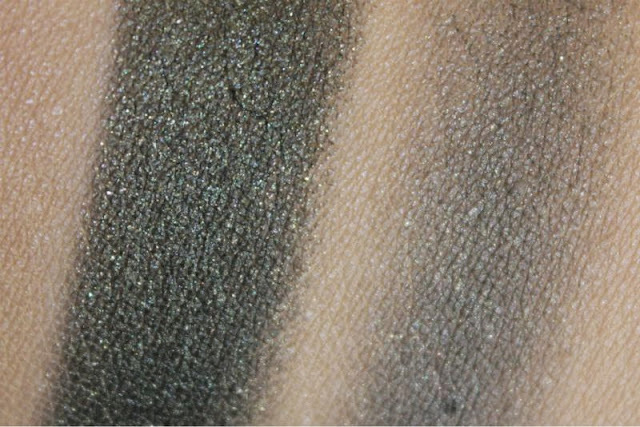 From the get go these will draw comparisons to both Maybelline Color Tattoo's (the packaging is most similar to the Maybelline version, almost identical) and of course MAC Paint Pots and to some degree they are justified as all three are cream to powder formulations that can be worn alone, as an eyeliner or as a base for other powder eyeshadows. However I have found the Bourjois Color Edition 24H Cream Eyeshadows to have a firmer a texture so much so that it almost skips being a cream and feels very much like a powder from the get go. 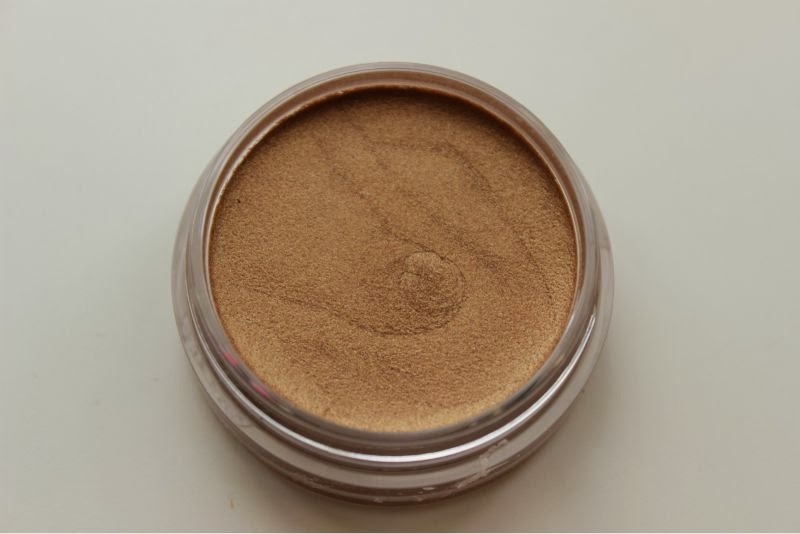 Bourjois claim that their formula contains 6% resin to boost longevity as well as silicones and fine spherical pigments so that the shadow glides on and locks onto the skin. No complaints or disputes there from me. 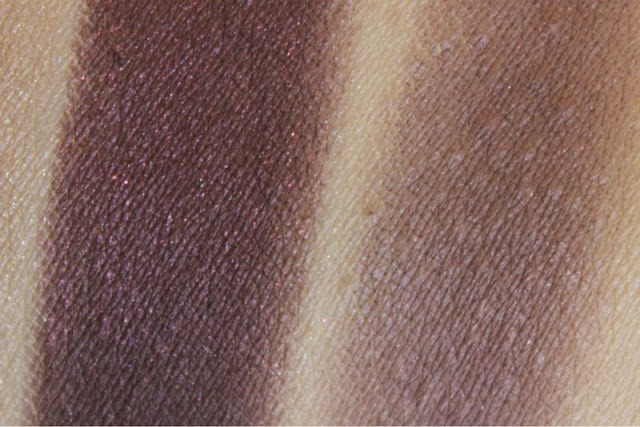 Actually the more I think of it the texture does have a slight bounce and reminds me somewhat of Chanel's Illusion D'Ombre Eyeshadows. 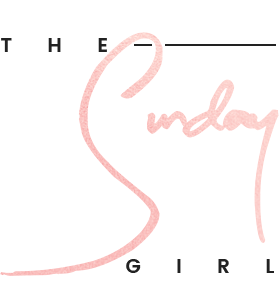 I found the best method of application was to dab or blend these on to the eyelids with my fingertips rather than a brush as the heat helped to soften the shadow somewhat. Truthfully the pigmentation isn't quite as intense as I had anticipated but they do build up beautifully and some of us do prefer a more subtle approach to eyeshadow. 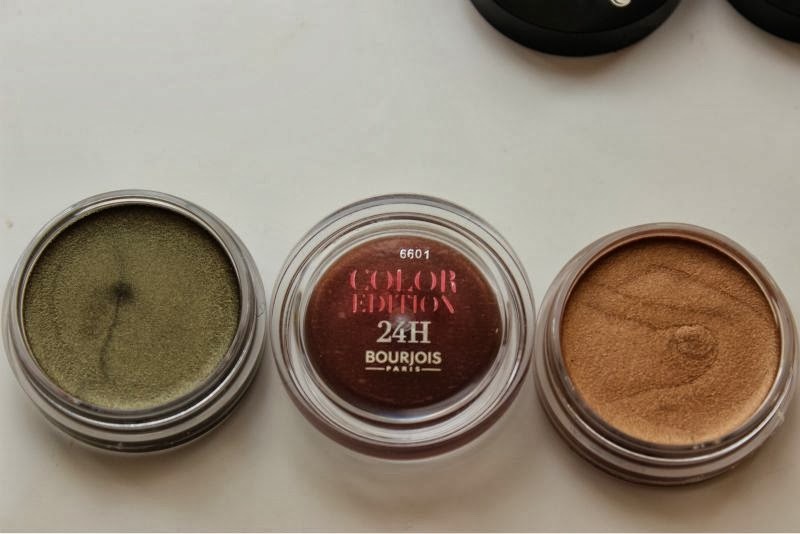 As mentioned the Bourjois Color Edition 24H Cream Eyeshadows do have a firm texture and boy oh boy do they stay in place - as they contain silicones some skin types such as normal to dry will not need a primer for a full days wear but oily lids like my own may want to pair the formula with a primer for reassurance but make no mistake they are long wearing. Yesterday I achieved a full 10 hours of true wear and I imagine it would have been longer with a powder eyeshadow on top. 02 Or Desir - A light metallic peachy gold hue, the least pigmented of the bunch but a great base shade that is a possible dupe for MAC Rubenesque. 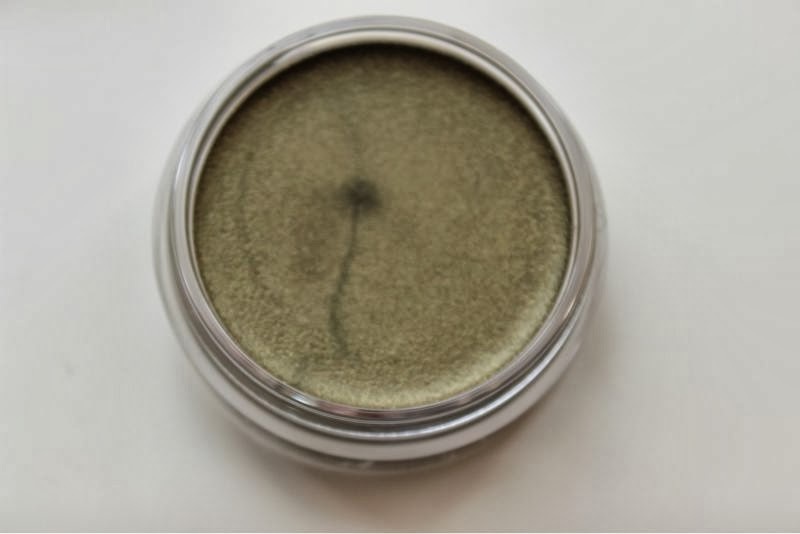 04 Kaki Cheri - A metallic yet smoky burnished golden olive shade with plenty of golden shimmer can be worn as a light olive shade or built up to a full emerald green. 05 Prune Nocturne - If you are looking for a dupe for Chanel's Ebloui this is the budget version for you - a n almost maroon shade that is a combination of purple, brown and red. 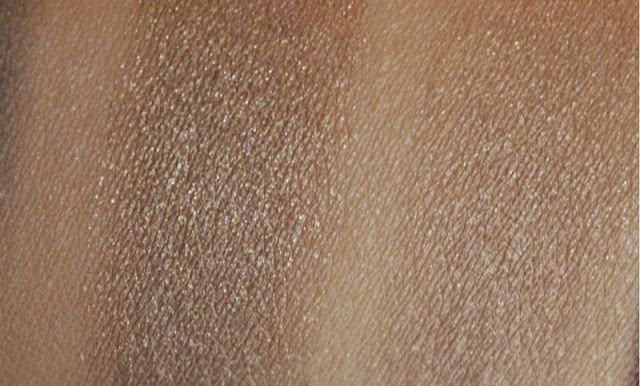 A great autumnal shade that is not lacking in pigmentation. 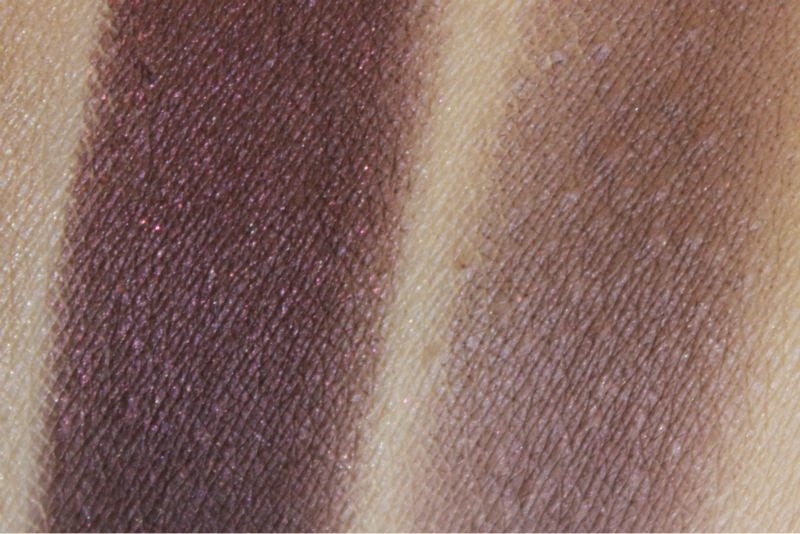 As mentioned the Bourjois Color Edition 24H Cream Eyeshadows* will launch in October (date to be confirmed) and will retail for £6.99 each. All 3 shades were pretty!! Oh I adore these I only just went and bought the colour tattoos the other day actually and really liked them. These come out darker than I expected but even nicer I think. Super gorgeous! Definitely going to pick up a couple of these! These look really pretty, especially the peachy gold shade.. I can't wait to check these out when they arrive in store! I love the Maybelline version so will definitely have to get my hands on these! 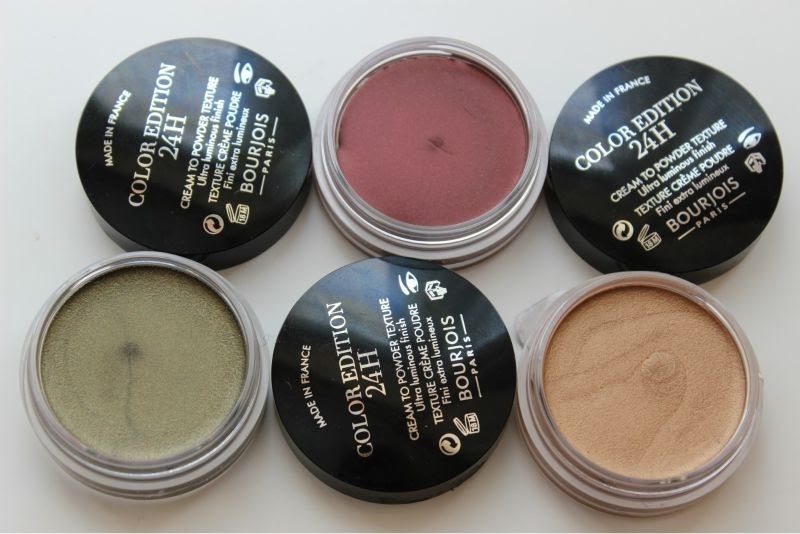 Oh I need all of them, but especially the green and cranberry - they'd be perfect for liners. These look like copy from Color tattoos, but really gorgeous. Wanna try them out! Is there any info on what the other three colours are? I quite like the look of Prune Nocturne! Thanks for the quick reply...mmh, navy blue. Damnit haha! I can't wait to try these! I love anything that I can apply easily and with my fingers on my commute into work. I love the look of these! 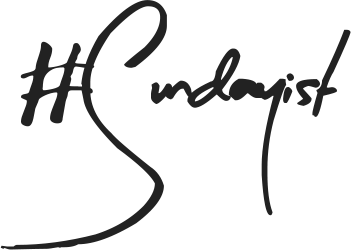 Bourjois is releasing some lovely products. The Kaki Cheri colour is my fave but I wouldn't say no to any of them.